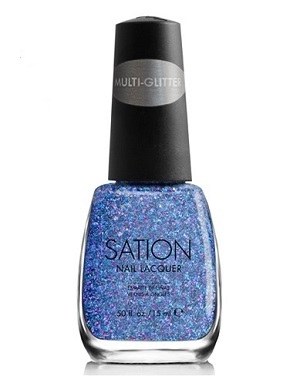 Sation Can Buy Me Love Nail Polish, 3004, .50 fl. oz. Dense metallic blue, purple and silver multi-sized hex, round and bar glitter in a clear base.